This is ideal for users who sell custom tattoos, print t-shirts, banners, among other products for all manner of print. 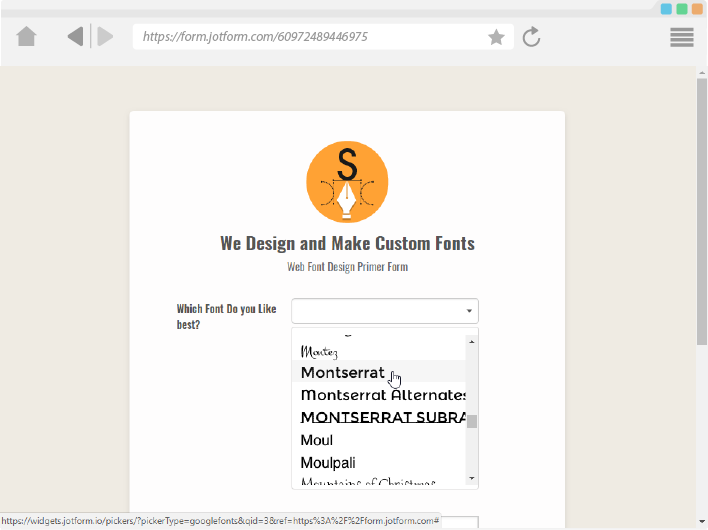 Create an order form and add the Google Fonts Picker Widget. 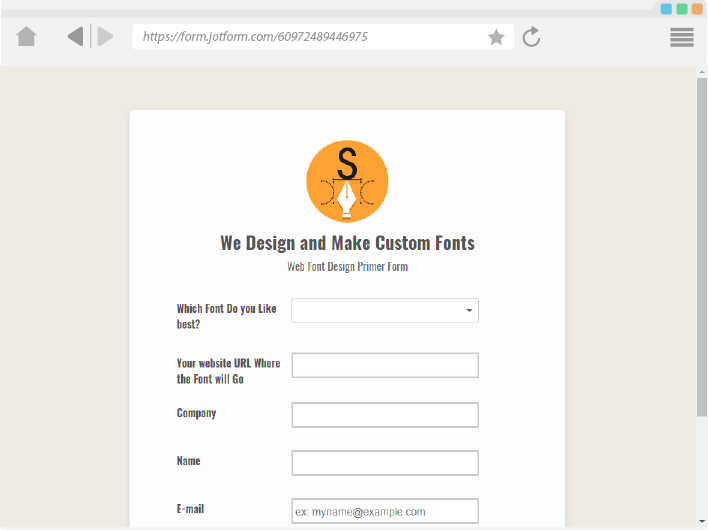 Your users will be able to pick the fonts to be used on the design. 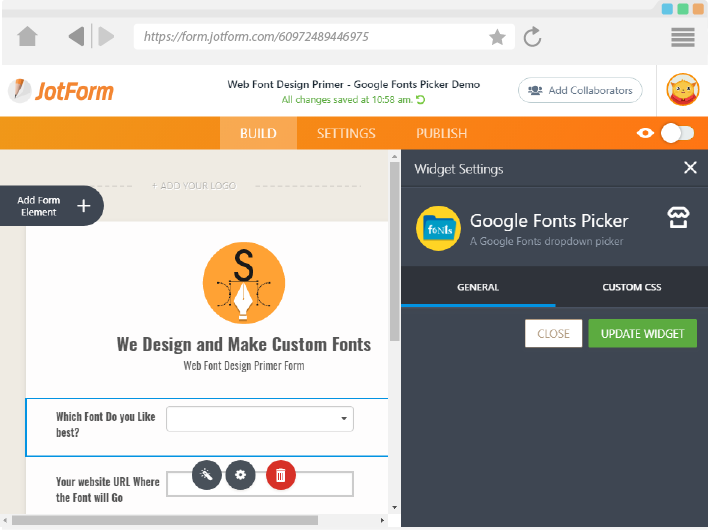 With each font displayed exactly how it looks, it makes it easier for your users to make the choice. Genius! Perfect for us Web Designers. 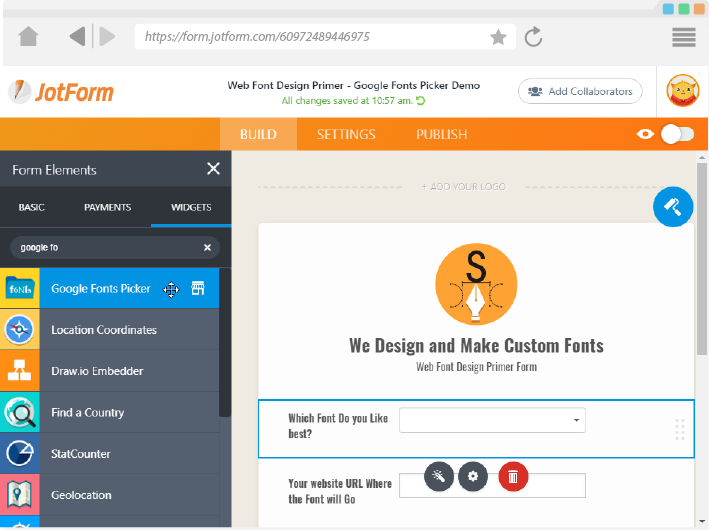 Thanks again Jotform. Doesn't seem to work any more. Demo gives 404 error, doesn't function when added to form.